Helping to make training FUN! Over Labor Day weekend, we've moved our shop and retail store to new and larger accommodations. Our new shop is at 1051 109th Avenue NE in Blaine, Minnesota. Because of the move, we're going to be a little slower getting orders out for the next week or so. It will take us a little while to get everything set up and organized in our new shop so we can get back up to speed. As of January, 5, 2018, here are the current wait times to have a collar made: Mambas will be made and shipped within 3 working days of the order being placed. Other collars will be made and shipped approximately 1-1.5 weeks after the order is placed. These times can vary depending on the schedule of shows that we are attending but we are doing our best to continue to shorten the wait time. We refuse to sacrifice quality for time. That is not what our customers have come to expect from Keeper Collars. Collars are made in the order in which they were received. Each collar takes 4 man-hours to make. Keeper's Favorites collars take the same amount of time to make as a custom order collar. All of our collars are hand made in the USA. While we appreciate that you are anxious for your order to arrive, calling to ask whether it is done yet really just takes time that we could be using to make collars. We hope that you understand and your patience is greatly appreciated. Keepers Favorites Collars are the simple and easy way to order a Keeper Hidden Prong or Keeper Flat Collar without having to design it yourself. Just find the design that you like and we will make it for you. We are the only people who offer a hidden prong collar with a soft leather lining. There are advantages to a leather lined collar. The softer edges of the leather will avoid damage to the hair of dogs with a longer coat. The leather of the collar will help to protect the ribbon and the nylon web from wear. For collars with prongs, your leather lined collar will look even less like a prong collar and more like a traditional collar. At Keeper Collars, we custom make dog collars in four basic styles. There is our original hidden prong collar, the Keeper Collar, the Keeper Flat Collar, The Keeper Flat Martingale and the Keeper Vegas Style limited slip collar. 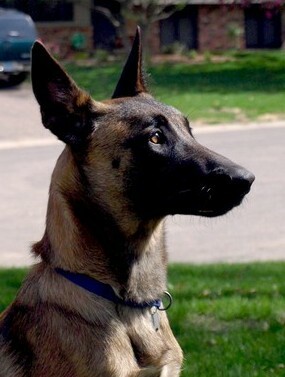 The Keeper Collar is a hidden prong collar to be used for training. It's designed to be easy to put on and remove from the dog with a snap buckle and it's easier to adjust for a perfect fit. No more removing or adding prongs to adjust the length of the collar. Plus, as training progresses with the dog, prongs can be individually removed. The Keeper Flat collars are collars for every-day wear and obedience use. They are built with the same materials and care as the Keeper Collars but with no prongs. Keeper Flat collars come in three styles, buckle, martingale and the Vegas Style limited slip. The Keeper Flat buckle collars are an adjustable collar with a buckle, either a snap buckle or a traditional metal buckle. The Keeper Flat martingale collars are limited slip collars with no buckle and a martingale style leash connection. They are sized to slip over the head of the dog. The Keeper Vegas style limited slip collar is an alternative to the martingale design. It features a buckle for easy on and off and because it doesn't have to slip over the dog's head, it offers a better, more custom fit than a martingale. The limited slip design offers less friction than a martingale so that the collar relaxes very quickly once tension is released on the leash.